MGBSX1 vs MGBLH1: What's the Difference? MGBSX1 vs MGBLH1: What’s the Difference? 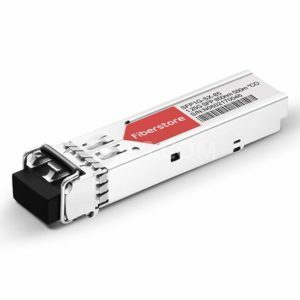 Cisco SFP is fiber optic transceiver modules that provide fast and reliable connectivity between switches that are located in separate buildings, or on a large campus network. Its long-standing charm and good reputation have intrigued many people for a long time, inducing us to lift the veil on it. Today’s article will generally introduce the Cisco 1000BASE SFP transceivers: MGBSX1 vs MGBLH1. MGBSX1 is a hot pluggable 1000BASE transceiver invented by Cisco. The 1000BASE-SX standard optics are developed to support lower cost multi-mode fiber runs in horizontal and shorter-length backbone applications. The MGBSX1 transceiver offers the ability to tap into faster networking speeds using fiber optic cabling. It supports dual data-rate of around 1 Gbps, with its operating temperature ranging from 32º to 158ºF (namely, 0º to 70ºC). The industry-standard Cisco Small Form-factor Pluggable Gigabit Interface Converter is a hot-swappable input/output device that plugs into a Gigabit Ethernet port or slot, linking the port with the network. The NGBSX1 SFP is compatible with the IEEE 802.3z 1000BASE-SX standard and operates on 50 micrometer multimode fiber links up to 550m and on 62.5 micrometer FDDI-grade multimode fibers up to 220m. More importantly, installing this module is as easy as sliding it into an accompanying port on a compatible Cisco switch. 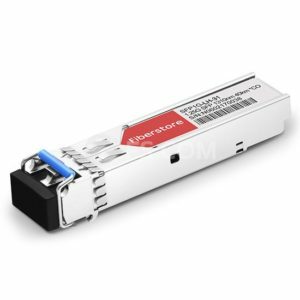 MGBLH1 is also a 1000BASE SFP transceiver. However, it differs from MGBSX1 in that LH stands for long haul. Many vendors use LH for certain SFP modules, this SFP type is similar with the other SFPs in basic working principle and size. However, LH isn’t a Gigabit Ethernet standard, yet is compatible with 1000BASE-LX standard. The MGBLH1 transceiver module provides a low cost high-performance connection. Compliant with specifications of SFP transceiver MSA specification, 1000BASE-LH SFP operates a distance up to 70km over single-mode fiber. Cisco MGBLH1 1000BASE-LH SFP covers a link length of 40km that make itself perfect for long-reach application. Morever, The MGBLH1 transceiver provided by FS.COM is individually tested on a full range of Cisco Linksys equipment and passes the monitoring of FS.COM intelligent quality control system. The large diameter core of multimode fiber increases the light reflection created as light travelling. Because of the high dispersion and attenuation rate with the multimode fiber, the quality of the signal is reduced over long distances. Therefore, the MGBSX1 is typically used for short distance, data and audio/video applications in LANs. Oppositely, MGBLH1 can be applied to long distance transmission. However, the actual distance will vary based on fiber plant and operating environment. MGBSX1 vs MGBLH1: have you known the differences? Although they share something in common, they are totally different 1000BASE SFP transceivers. If the working distance is clear, you can choose from the two SFP transceivers according to my advice. When considering other elements, you can turn to the experts on FS.COM. There is a team of experienced networking specialists that is ready to assist you. Choose FS and save money! Previous Previous post: Powering PoE Switch From A PoE Switch: Is It Possible? Next Next post: Which One to Choose? Fiber or Copper Patch Panel?